Whether a business is redesigning its office or constructing a new environment for hosting customers, its brand should be authentically represented. Employees and customers walking into the space for the first time will experience an immediate emotional reaction that will be inherently tied to their feeling about the company. Similarly, when prospects visit a company’s website for the first time, they instantly form an impression. From a design standpoint, it is important for those two experiences to align. A cohesive brand experience across physical and digital channels should be top of mind when creating a new space. The benefits of properly branded physical spaces are widely understood. Construction companies should aim to mirror the same impression generated from its website when designing its physical space. A strong brand evokes the same impression and feelings across all channels. Rent the Runway CEO Jennifer Hyman says each of her company’s retail stores is “a piece of our customers’ experience.” Whether customers shop at Rent the Runway/DC or RentTheRunway.com, they enjoy similar interactions with the brand. Beyond improving customer encounters, a well-branded physical space can enhance loyalty, productivity and creativity among employees. 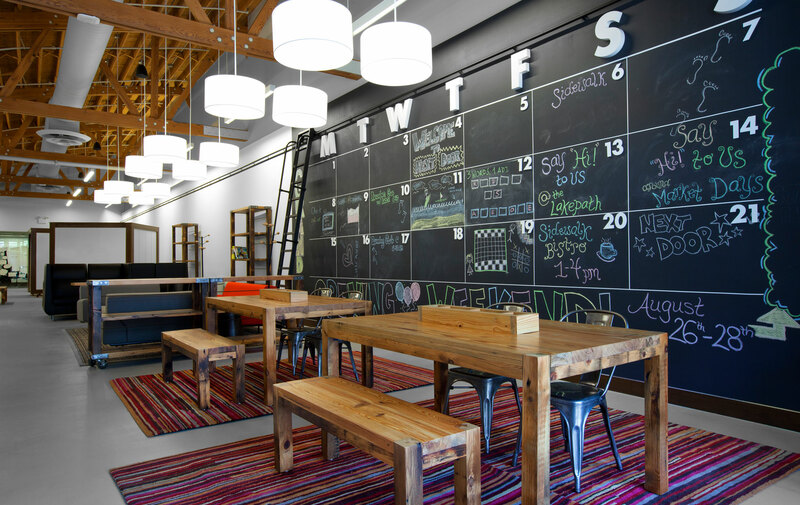 When employees work in a branded physical space, they become better advocates for the brand. So, if a company emphasizes teamwork and collaboration, consider designing an open, activity-based workspace. If a company website boasts transparency, consider using glass walls throughout the office space. Builders can distinguish themselves by creating physical spaces that represent their clients’ brands authentically. Following are a few examples that tie online and offline experiences together. Consider visual identity. Examine the client’s visual design system, including color palette, typography and image styles. How does the website express these visual attributes of the brand? Is the site bright and whimsical or dark and sophisticated? Does it use color gradients or perpendicular lines? 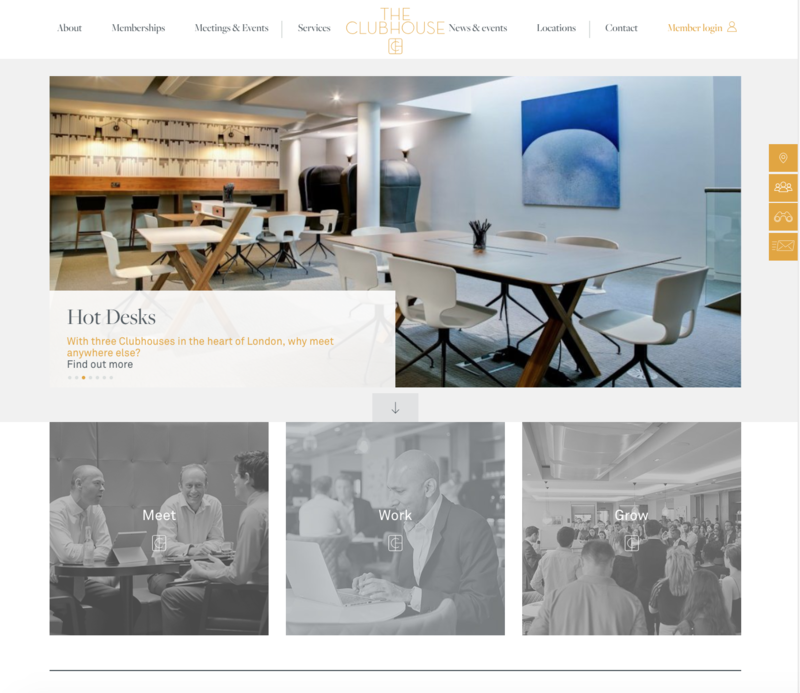 The Clubhouse, a London-based business lounge by global accounting firm KPMG, exemplifies elegance and features smooth-surface textures, both of which similarly reflect its light and airy website. Draw from voice and tone. Consider the words a company chooses to describe itself. How does the client define its mission, vision and brand promise on its website? How does it organize and market its services? Such content helps builders understand what a brand aspires to be. GE demonstrates its “Imagination at Work” tagline at its new Boston headquarters. The office space will have communal tables, direct access to the waterfront and cubby-style lockers, all to promote a work-from-anywhere environment and foster creativity and critical thinking among its employees. Integrate digital touchpoints. Identify ways to extend digital experiences into physical spaces to deliver greater brand value. For example, KPMG’s Clubhouse website allows members to take actions online that can be carried out seamlessly within the space, such as reserving a conference room. 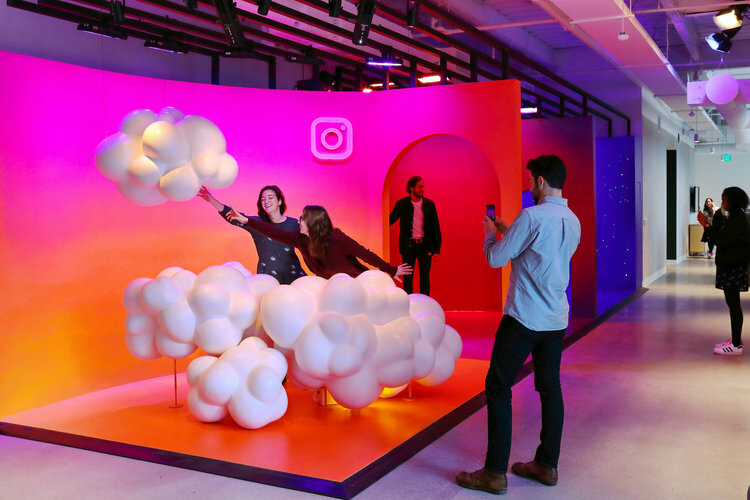 Instagram’s office in Menlo Park, Calif., offers colorful 3D “creation spaces” that allow employees and guests to shoot and share pictures on the app. 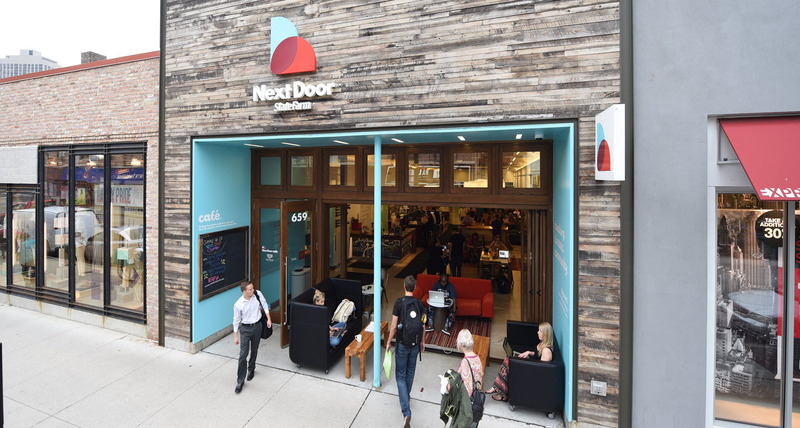 State Farm, the “good neighbor,” welcomes visitors to its Next Door Café in Chicago. The café is not a conventional sales office but rather a community workspace with laptop charging stations, free wifi and “coaching cubes” for meetings with State Farm agents. Increasingly, companies strive to keep their digital and physical environments updated and aligned to their core brand values. As creators of physical spaces, construction companies can draw inspiration from a client’s digital presence to establish greater brand continuity and build memorable, engaging experiences for customers, prospects and employees.